Conrad lets the slave girls go. Birbanto and the troops are furious to see their new-found wealth disappear. It’s mutiny! The concubines take good care of Seyd Pasha, who likes to nap. He dreams of Gulnare and also Médora, whom he never got to enjoy. Manuel Legris bolsters his women corps with girls and boys from the ballet school and manages a truly impressive white act! The plot and the music for this ballet are both miserably thin. 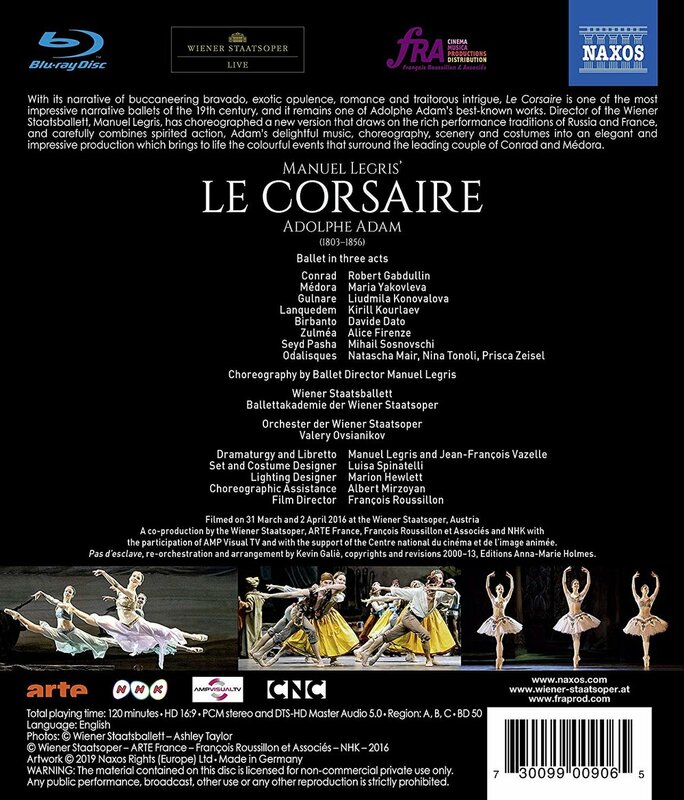 What counts here are sets, costumes, props, lighting, personal directing, choreography, and the enthusiasm of beautiful young dancers who can also act — in all these departments Manuel Legris and his forces shine bright with impressive professionalism. François Roussillon provides brilliant PQ with a minimum of motion blur. We did a ballet wonk worksheet. Roussillon also provides superb video content with a lovely pace of 14.3 seconds per clip, 82% whole-body shots, and not a single close-up! No DVDitis in this production! If we could only get the people who make symphony concert videos to hire Roussillon (or Vince Bataillon)! 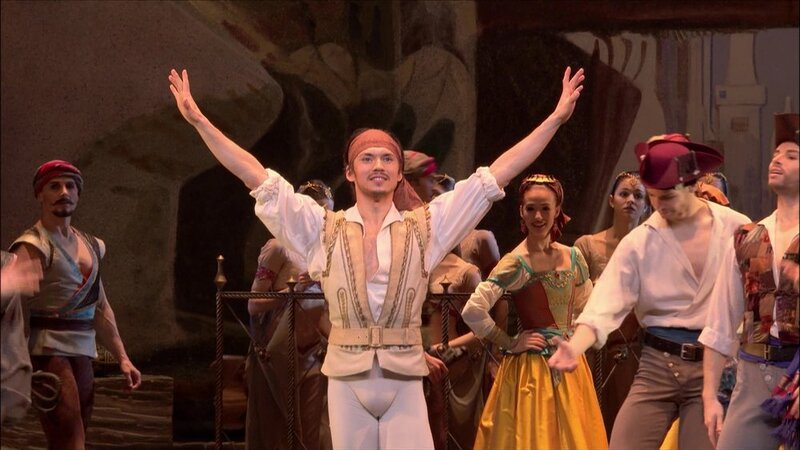 We now have 3 versions of Corsaire. But with the resources of the Wiener Staatsoper Ballet committed, it’s not a fair fight and this version is distinctly better than the competition in every way. It’s a fun 2 hours of viewing, especially while imbibing your favorite beverage. We give this an A, which is probably the highest grade conceivable for this kind of swashbuckling second-tier classical ballet.